In occasional letters like this I report the things we have done in the work of the Foundation and in our life over the past few months. I also refer to articles, books and films, when they weigh in and interest us. You may catch up and join us in the ups and downs of the work you have an interest in. Thank you for your help financially, through prayer for us and by opening your mind to enjoy the good things and to bear with us the painful ones. It gave me much pleasure to launch my book “The Innocence of God” in Minneapolis last November with a lecture for the MacLaurin Institute. Two extreme theologies, divine determinism on one hand and openness theology as divine limitations on the other, have roots there. My book argues for a more Biblical view: from before ‘the beginning’, from eternity, a personal God exists, who in his very nature contains no evil in either fact or will. An abnormal situation of life exists from the fall. It is a creation by the will of creatures and does not conform to God’s will of any kind. Into it God interferes to redeem it over time, urging us to seek justice, to repent of evil and to work against it in all areas, just as He all along interferes, creates, and opposes evil, wrong and death until He can establish his kingdom on earth. From this viewpoint alone things and events are not what they were supposed to be. There are many loose ends, much sin exists as a condition and as acts, and God is at war against it. This perspective as a whole is rarely taught, but widely sought. Too many believe they have to find a way to approve of what happens, as in the view they hear where all events fit tightly under the sovereign acts of God. It assumes God’s purposes in everything, even evil. Yet that is also the reason why many give up on the God so proclaimed by many Christians. Bart D. Ehrmann is one among many. His book God’s Problem: How the Bible fails to answer our most important question, why we suffer sheds light on that failure to give Biblical answers, when Christians in fact say nothing that differs significantly from Greek fatalism, Islamic resignation and genetic determinism. To my regret I found this view even in Tim Keller’s recent work Reasons for God. Regret, because the rest of the book is a helpful apology for Christianity. It makes good arguments in all places except for the chapter addressing the issue of suffering and evil. Here Keller joins so many others to say that in the end we shall all see how the present with its problems was part of a divine will, purpose and program. In other words it only seems to be out of order, when in fact it is part of God’s good puzzle. No room is given to God’s grief, to Jesus’ frustration and at times outrage in the face of significant sin, to the work of evil men, to the devil and to the tragic consequences of Adam’s sin down the path of history. On the lecture tour I also spoke at Trinity University in Deerfield, IL, at Colorado Christian University in Denver, in two Episcopal churches in Edina MN and Colorado Springs, in Montgomery AL, in DC with very lively journalists in the home of Cal Thomas and to Congressional wives in the home of Joanne Kemp. I discussed the ideas in the book with Marvin Olasky at The King’s College in NY. Part of that was published in WORLD magazine at the end of March. I shall be teaching at King’s College as a visiting Professor for two months each semester starting in late August 2007. Debby and I shall be there together and look forward to both the challenges and pleasure of that assignment. It will make it possible also to speak elsewhere together when you invite us over the weekends. For the past three months much interest came through many radio interviews by phone about the book, often with lively discussions. People found my proposition encouraging, helpful and understood the link between my understanding of the Biblical view and the unique factors of effort, enterprise and resistance to pain, damage and injustice in the part of the world where the Bible was taught and believed. All religions demand submission to what happens. Only Jehovah, the Father of Jesus Christ, calls us to work, argue and to resist evil and to complain about sin. The March 2008 issue of Christianity Today contains an article titled “Not Your Father’sL’Abri” by Molly Worthen. (http://www.ctlibrary.com/54489) The many quotes by present staff in Swiss L‘Abri reveal crucial changes of views and what is taught in the work after Dr. Schaeffer’s death in 1984. We left Swiss L’Abri over twenty years ago and have never publicly stated our reasons. It would have been easy to brand us as bitter complainers. We have only ever told those who asked us specifically. In the course of the next few years ten more on the staff were made to leave. They had all become “inconvenient” when they disagreed with the changes in the teaching. This CT article by someone totally outside our lives brings them to public attention. We are glad for that. In fact, as The Francis Schaeffer Foundation the following statement will appear in CT over the signatures of Debby, myself, and three members of our Board: Pierre Berthoud, Dean of the Free Faculty of Theology in Aix–en–Provence; Greg Grooms, director of The Hill House ministry in Austin, TX; and Marvin Padgett, Editorial Director, living in Wheaton. The Francis A Schaeffer Foundation would like to state that we are grateful for the article in Christianity Today, declaring that L’Abri today is “Not Your Father’s L’Abri”. We would urge people to read or reread Francis Schaeffer’s books to allow him to speak for himself and thus rediscover his own stated views in context. It is immaterial whether the author wanted to give a slanted view of things. The numerous quoted comments of present staff speak by themselves clearly about their differences with and opposition to Schaeffer’s views. Their statements give the facts, which the title “Not your Father’s L Abri” merely repeats. The article in Christianity Today shows why the author did not find in Swiss L’Abri what many fathers (and mothers) and some former students would expect to find there on the basis of the Schaeffers’ books, taped lectures, and past reputation. It is indeed “Not your Father’s L’Abri” anymore, though it continues to benefit from and depend on its past reputation. This is not to say that people are not being helped there or that no work is being done. It is just no longer what L’Abri was known for, and this article explains why. It should alert the public that in its core beliefs Swiss L’Abri has moved far from what Schaeffer had come to believe during years of study and thousands of discussions, what he taught and asserted. The changes concern what is taught there. The quotes show the degree to which the Schaeffers are no longer respected and represented in a work that most people would still link to their reputation. Neglected, dismissed, contradicted and perhaps forgotten are central affirmations of historic Christianity, for which Schaeffer had gone to Europe in 1948 in the first place, before L’Abri was started. He argued for the necessity of an inerrant text from God with the same fervor as for the Trinity, i.e. the question of the eternal divinity of Jesus. Take either of these away and the truth of Christianity no longer stands. Yet only two years after Schaeffer’s death several on the L’Abri staff began to object to Schaeffer’s analysis and critique of Karl Barth’s neo-orthodox theology, where these other views are found. Contrary to the suggestion by one of the staff members, Schaeffer’s insistence on the inerrancy of the Bible did not arise through his contacts with an evangelical political establishment; nor was it a later attempt “to dig into the trenches” at a particular political moment; nor did he shift his focus to a more public ministry in the 1970s, when he felt obliged to address the public square to which his former students invited him to address their friends. Currently a number of thoughtful authors support Schaeffer’s views and thereby we can understand how unjustified and false the assertions by staff at Swiss L’Abri in the CT article are. Secondly, Brian Follis comes to similar conclusions about Schaeffer in his book Truth with Love: The apologetics of Francis Schaeffer (Crossway, 2007). He brings out the love for people and God, for truth and reality, for honesty and a desire to address people’s genuine questions as characteristics of Schaeffer’s apologetics. This Schaeffer maintained a distance to presuppositionalism theologically and to rationalism in his interest in people to help them understand and know more about God and creation than their interest in personal truth would have them look for. It did not take Postmodernism to foster the longing for personal reality. Thirdly, Dinesh D’Souza’s new book What’s so great about Christianity (Regnery, 2007) refers to many of the same philosophical, cultural and political personages and their ideas which Schaeffer mentions. They brought together the modern world and are introduced and referred to, because of their centrally significant effect on our current history. The reasons for their influence are outlined in a similar way. Schaeffer’s studies of their ideas are reflected in his many books, which were written earlier. Since then many later authors add valuable details, which confirm Schaeffer’s analysis. 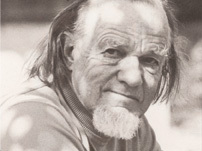 Fourthly, a biography of Francis Schaeffer will be published this summer. Colin Duriez is the author of “Francis Schaeffer: An Authentic Life”. Colin Duriez spent several days with us and called frequently as he went over the whole text to add more details and to clarify others. It is a very insightful biography. The book will also make evident the reasons why the CT article “Not your Father’s L’Abri” rightly bears its title. It lays out the reasons and development of Schaeffer’s views, which people can also gather from Schaeffer’s books, tapes and videos. Comparing them with what the quotes in the CT article state about them shows how they are dismissed in Swiss L’Abri today. The work claims continuity, but it is evident that the currently taught views are clearly different and opposed. We are very glad for this new biography of Dr. Francis Schaeffer, which I mention above. It will be available this summer. With its fuller study of Dr. Schaeffer’s life it gives much space to the world and weight of his ideas in addition to biographical details of his life. His frequently stated proposition that there is only reason to be a Christian, and that is that Christianity is the truth of the universe, us not a formula, but a deep conviction, a conclusion born not so much out of belief, but from study, doubt and questioning. That brought to light the truth of what the Bible talks about. The biography will help many understand how Schaeffer’s thinking became seminal for so much of subsequent awakening of cultural interests and learning among evangelicals. Crossway Publishers has always gone to great effort to faithfully keep the Schaeffer books in print and available. The addition of a biography will give them a context. As a biography the book explains in much detail how Schaeffer’s philosophical, theological and cultural analysis became a major contribution to the church and opened for Schaeffer a way to talk to modern Man about the uniqueness of historic Christianity on the market of ideas. You will find that he encouraged moral action in the πολις, the city, but not political action for power and influence. He encouraged many to take an active stand, because each person is a political entity and contributes to the life of society. Later some joined together in what became the Moral Majority and similar efforts. On the other hand Schaeffer also worked to restrain the Right in its excesses: its hunger for power and its idealistic expectations about a Christian society. He never believed that a Christian government would by definition be better, of that Christian schools are the solution against encroaching secularism. He foresaw the same problems with separate language schools and with education separated along religious lines. When many Christians went that route they insidiously opened the door for what we now face with a growing separate Muslim school movement. Christians abandoned the public arena and created a culture of separatist religious communities that are no longer exposed to a common moral and sensible reality. The current quest for ‘authenticity’ relates mainly to the inner life of a person and is a form of modern despair, showing a disinterest in the whole of God’s creation, human history and the arts and sciences as human endeavors. Authenticity in a more Biblical perspective requires a relationship of a person to the real world, to the creation of God, the world of God’s interest and passion. As God comes out of himself to address us in word and flesh for our benefit, human authenticity must have a component of engagement, action and creativity into a wounded human civilization and a broken world. When a person is concerned about himself alone he or she is not authentic, but narcissistic, for at no place and at no moment are we just ourselves. Schaeffer’s compassion included a deep sorrow that many Christians do not live enough under the Lordship of Christ, which they tend to limit to their personal life, instead of applying it to all of life. Insecurity, mostly from a lack of confidence that Christianity is really true, and pain suffered from the conditions of life (or lack thereof) in and outside of the church is one concern of God. He is also the Lord of the universe, however, and wants to accomplish moral acts, intellectual rigor and obedience to the mandates of creation through, or by means of, the agency of his people. With this view authenticity would be found in being a neighbor, of helping the poor and aging, of creating jobs and teaching life skills, of being a servant to others in their need. Authenticity for Schaeffer was less a matter of finding something personal; instead it was a constant search for truth, answers and insights about God, creation and society. He saw faith as something very fragile, a fragment of a conclusion, being “sure of what we (still) hope for, certain of what we do not (yet) see”. And therefore you always look further, inquire, examine, compare, and think through alternatives that you will need to put into practice. One does that not through more occupation with oneself, but with God’s world. Lots of people seek authenticity today as if that were something new which became relevant only recently. I wonder whether that follows perhaps increasing alienations from life itself, which is where authenticity is played out and experienced. Some of our chosen habits contribute to such alienation. A failing school system no longer educates us enough to know something about creation, geography, history, the sciences and other people’s ideas expressed in their texts and practices. Alienation is felt also when Christianity is reduced to life in a separated church and a fellowship with little intellectual and cultural substance, to a camaraderie established held together by Christian vocabulary. How different that is from the time when church was a commonwealth of spiritual, intellectual, educational, artistic and social realms in a person’s life. A third ground for the feeling of alienation and the absence of purpose is that the Gospel has a salvation-of-the-soul focus instead of a There-are-reasons-to-live foundation. The Gospel starts in Genesis, not in Matthew. It addresses people, not souls. In the Letter to the Romans Paul talks about God first, before he talks about Jesus; about human existence and moral alienation before he states the way of salvation. Yet so soften the Biblical narrative of a linear history, into which we rightly fit as human agents, is replaced by sudden “thunderbolts” of grace that are expected to make all things wonderful. It does not, not in a fallen world that still waits for the reign of Christ. I wonder at times whether the feeling of alienation, of lacking a purpose or a calling, is not also related to the fragmented personal lives most people experience: Suburbs separated from towns, work places from home, parents from children, siblings from each other, children’s church from real church, food from knowledge of how it is produced, and sermons unrelated to much of the real world, i.e. giving a spiritual focus that relates little to what Adam and Eve were told to do when faced with a world in the condition of sin: “fallen”. Schaeffer showed that authenticity does not come from occupation with oneself, but rather from being human, making waves, being real and moral, becoming a thinking person, a deliberate human being who took an interest in life, other people, history and a multitude of pursuits. Authenticity was not a finding of self or an agony over what to do in life, but an enjoyment of the self in the context of all of creation under God, aware of all the evidence of its brokenness, and then in spite of it. Authenticity for Adam and Eve involved having dominion over their life and the world around them, having babies, harvesting food, and digging wells. For Paul it was finding the arguments for God that would penetrate stubborn minds and telling around the Empire. For Wilberforce it was suggesting ways to fight slavery. For all of us it should involve ways to put bread on the table and to resist evil and death in all possible ways and places. Recent generations have sought identity and authenticity in separate people groups. Every decade wants to have its own label: post-war, Vietnam, boomers, generation X, Millenium kids. I often wonder whether people whose identity lies in having a hyphenated name makes them feel more separated, not less; a common humanity is lost. They hang on to the remaining qualifier, because they have abandoned the quality of being one in the human race. They know the adjectives, but have lost the nouns. They know their separateness, and separation is my experience. The loss of confidence that there is a single narrative, the reduced knowledge of the outside world from inadequate education, the embrace of democratic freedoms to voice one’s own unexamined opinion: they all easily bear fruit in personal alienation. Colin Duriez’ new biography of Schaeffer will also be helpful at a time when many have seen in Frank Schaeffer’s memoir “Crazy for God” a biography of his parents. To confuse the two kinds of genres and their purposes is a sad error and should not occur among careful readers. It has lead to all kinds of responses. Expressions of anger over and appreciation for the book have been about even, frequently heated and often touching. Some have stated their accusations; others expressed their admiration for the way the author honors his parents in spite of what he writes in the memoir. Some have expressed that it gives them hope, when one can hold to Christianity even with such memories. Fundamental to the difference between a memoir and a biography is that a memoir tells the reader about the author, not about the world outside him or her. In a biography the author steps into the background, in a memoir he is the foreground. Memoirs tell us what a person remembers and wishes to tell. It will always be one-sided, distorted, unbalanced and only lets you see what a person remembers. Frank Schaeffer knows that and asked each of his sisters to write about their memories. Two of them briefly wrote from their memories, which overlap enough to partially confirm or counter his own. A biography rarely draws on memory. It collects, studies and sorts sources, texts, witnesses and the work of other writers. It can be critiqued on light of these widely accessible sources. In contrast to this a memoir originates in the mind of the author, which only God has access to in addition to the author herself. One can wish that the author would do or not do, say or not say what she does or he says, but one cannot block a person’s memory, rarely even effect it from the outside. Therefore ‘Crazy for God’ does not give us a full picture of the people and situations described, but an opening into the memories of the author. I am free to compare them to my own, but I cannot deny them in the writer. Many Christians you meet will have a suspicious relationship if not to questioning, certainly to doubt. If they are unsettled by questions that look for answers, doubt is something to be avoided. They see belief as a valued end, a way to come to a conclusion, a sign of faithfulness and submission. Yet consider: How do we really know anything, except by constantly doubting the finality of our conclusions? We need to be open to further insights, question our easy conclusions and review from time to time what we believe. Let me suggest that belief is an easy thing. People are ready to believe all kind of things, all manner of people and proposals. Given a need to believe in something, they are ready to believe almost anything. These are the ‘True believers’ Eric Hofer speaks about in his book by the same title. Too many people believed that a new humanity is possible and followed political programs that promised to bring it about. People believe diet plans, advertisements, ways to stay forever young, investment plans and a multitude of religions. Belief is easy, if you want to believe. Especially in times of major crisis we may face many uncertainties in the dangerous world today: the war, the economy, the hostility of religious fascism, loss of image, power and confidence. From fear about problems many will believe that an offer of hope and a call for change will bring about the desired end. It is hope in hope, faith in faith. Belief is the easy thing, easily exchanged for another. It is easily lost and found. Much more complicated and rewarding is doubt. You should never lose it. This is not a doubt irrationally maintained in the face of evidence, but rather doubting the present conclusions in search of further evidence. Reality is a source for doubt, not for belief. An attitude of doubt made Schaeffer such an unusual person. It is the reason why people came to discuss, to argue, to think through, which Schaeffer did himself at all times. He grew through doubt, which openly faced the challenges of God’s not always obvious presence in a fallen world. A person standing still on two legs is more stable than one balancing himself on one leg only, but the stable person never gets anywhere. Only the unstable person on one leg can set the other in front and begin walking somewhere. I remember a footnote in Bob Raymond’s book on apologetics, which states he could never understand Schaeffer’s willingness to reconsider what he believed. For belief was a closed thing, faith was given by God and would never diminish. Faith was a presupposition, a starting point, the perspective from which all things were seen. But Thomas received praise for demanding greater evidence. Are we not all more blessed, because he demanded it, received it and believed, so that we don’t have to insist on a physical meeting with Jesus before we can believe? Jane Smiley suggests in her review of Frank Schaeffer’s book “Crazy for God” in ‘The Nation’ that perhaps towards the end of his life Francis Schaeffer was less certain of what he believed. She draws on the fact that later work had titles with a question mark: How Should We Then Live? and Whatever Happened to The Human Race? That is the Schaeffer I knew, who realized that certainty comes out of the practice of doubt; that answers come only to people who question. Faith is easy to loose, but doubt is with us always, when we acknowledge that in all honesty we do not know for sure. We see as through a glass darkly. Schaeffer’s distinction between true and exhaustive truth is rooted in this. For me doubt is the way to greater confidence, for Jane Smiley and many others it is a sign of uncertainty, of weakness. The doubter is finally the real believer, for he is confident that he can find out, because he questions the evidence for Man, the real world, and the existence of which God: the believed one or ‘the true and living’ one? Whoever starts with his belief is only sure of his belief, his emotions, his experiences, but not of God. Job’s friend had faith, but it was an erroneous one. They knew neither God nor the tragedy of a fallen world. They did not know Job, all they had was their nutty conviction, their poetry, their harmony of voices and their belief: the belief that all things are fair, justice reigns and history is the work for the will of God. Job had all the reasons to give up, but he doubted what his friends said and believed he must ask further; he refused to simply submit in humility, and then received from God real answers, hope and a new life. Belief is something very dangerous. I know how much that goes against the popular views that one should believe in oneself, in one’s dreams, in Jesus and in others. Much of the election campaign in the US is currently focused on belief that hope and unity have come together in the vision of one person to present us with a καιρος (kairos) moment of such drama and magnitude that now everything will change. It is curious to me how many assume that this is another “fullness of time” occasion, mentioned previously for instance in connection with the birth of Jesus or Luther’s nailing 95 theses on the church door. But belief is also what brought us Hitler and Stalin, trade deficits and huge debts, welcome by cheering crowds in Bagdad, the Olympics in Beijing, and multiple other signs of hope and glory. People fly off the ground of reality with too much faith, while doubt keeps us in touch with the unfinished business of living a day at a time. On the stage of real life the questions facing our generation will have to be dealt with, carefully examined, consequences anticipated, history weighed. A dream does not remove current global warming, nor turn ethanol into a viable fuel, nor make of Mr. Putin a friend. Dreams do not release China from moral obligations to human beings in Tibetan Highlands or Darfour. Faith does not heal me; that will have to wait for either God or a handy man, or woman, with a medical license.